Counting to 100 is a tough skill for many little ones, but it is one that they are expected to master in the Common Core Standards for Kindergarten! In my district, we have been expected to teach the children to do this now for many years, so this is nothing new, thankfully! I am now down to about eight students (out of 23) that are still unable to count to 100 successfully without assistance. 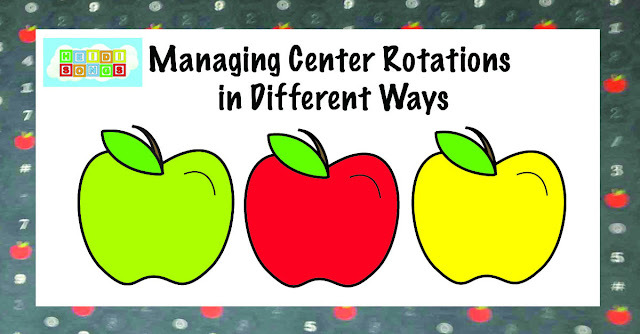 As I have attempted to get them to master this skill, I decided to keep track of the different things that I have done to help them and share these things with you here today. 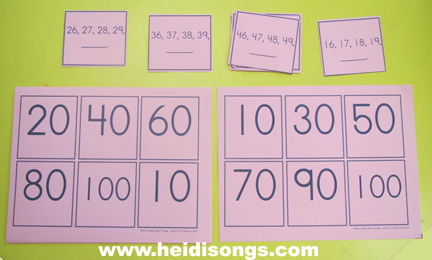 Obviously, counting to 100 involves recognizing the hundred's chart as one giant pattern! And I think that a lack of solid patterning skills (and probably some general readiness issues) are what is holding back some of the children in my class from reaching this milestone. Children also need to practice this skill with an adult in a one-on-one situation, and if parents at home forget to do this, then that can also slow things down. So the first thing that I did was test each of the children individually to see how far they could count. Then I sent a note home to let parents know how far their children were able to count, and asking them for some help with this. If you would like a free download of this note in both English and Spanish, please click here. After that, I kept the list of children's names handy that were still struggling with counting to 100, and gave this list to a volunteer each time one dropped in. 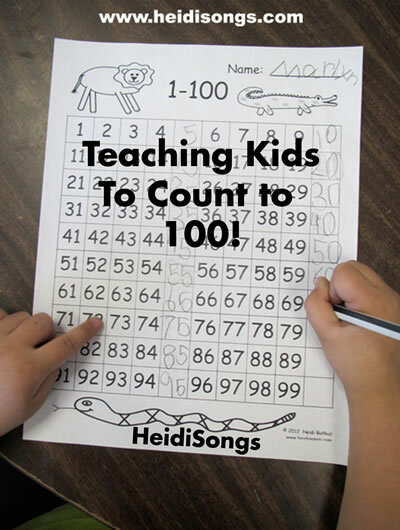 I gave each volunteer a hundred's chart to show the children as they were counting, so that they could see the pattern themselves close up. The children were pulled for extra practice in this area by my volunteers and university observers. After that, I had them color in the charts, using one color for the twenties, another color for the thirties, and so on. This is how I did it: I told them to find the row with a certain number (like the row in which all of the numbers started with a three.) I asked them to identify that row (the thirties row) and then color all of them blue. We did that same thing for each of the rows, coloring each of them different colors. So my objective was for them to just NOTICE where each row was, and to notice that each row all started with the same number. And after that, the goal was to identify that row as being the row of the twenties, thirties, forties, or fifties, etc. For a free download of this chart, please click here. One thing that I have done each year is put some large beads on a shoelace and write the numbers on the beads from 10-100, counting by tens. 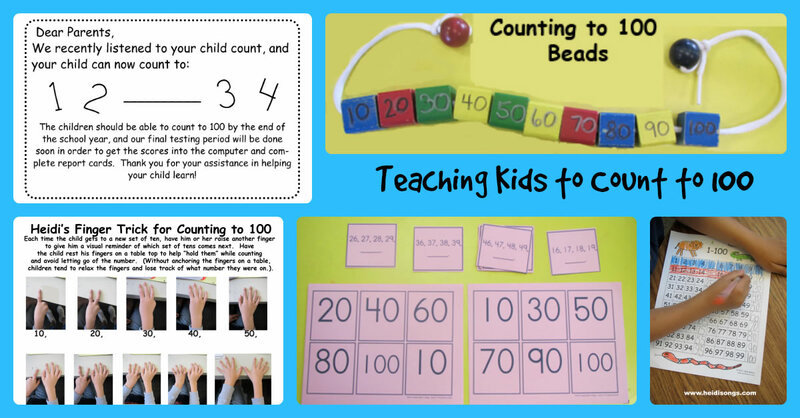 Then, I teach the children to slide one bead over each time they finish a set of ten and move on to a new set. 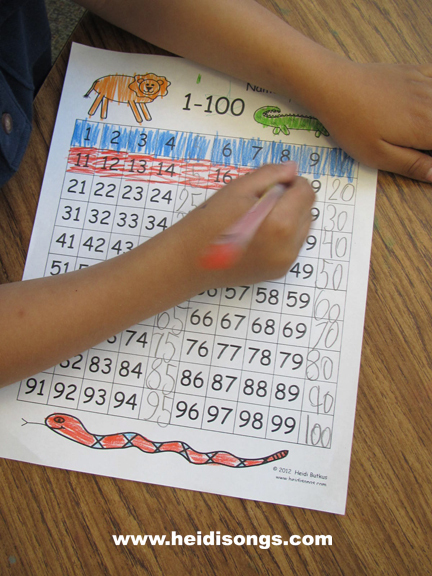 I think it kind of gives them a visual representation of the pattern that they are trying to give when counting to 100. I also made a "What Comes Next?" bingo game! The caller reads a series of numbers, such as "36, 37, 38, 39....." and then the children call out, "40!" (hopefully, anyway!) and then look for number 40 on their bingo boards and cover it up. The game is definitely a hit! This game is included in a $4 download called What Number Comes Next? Game Bundle!! It goes along nicely with the "What Comes Next? 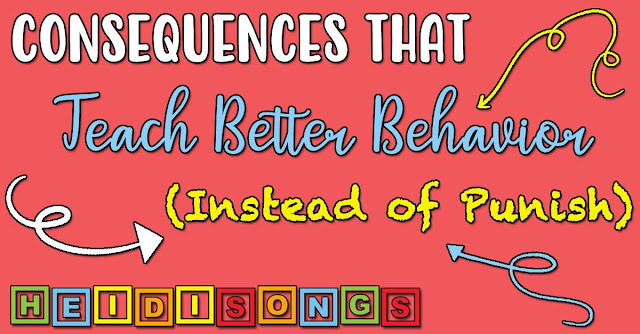 song on the Musical Math CD/DVD, and the "Boing!" game on the Musical Math Resource CD or the individual download with that game on it. The last strategy that I use when teaching the kids to count to 100 is to use their fingers to help hold their place while they are counting. For example, I have them hold up one finger when they get to ten, and then hold up two fingers when they get to 20, and so on. The thing that helps them the most, with this, is that they should rest the fingers that they are holding up on the edge of a table so that they don't "lose them" as they are counting, because they tend to get distracted and then their fingers relax. As this happens, the number that they were on disappears from their hands! 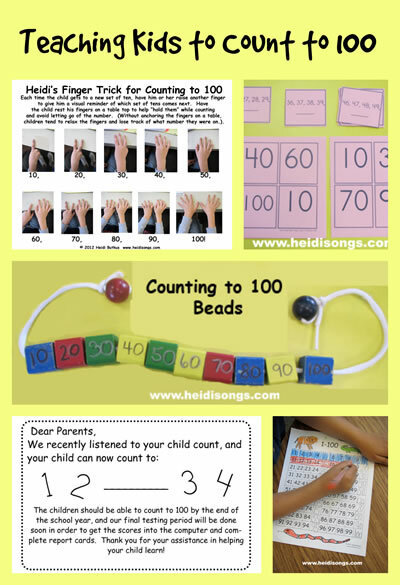 So if they rest the fingers that they are holding up on the edge of a table, it seems to help quite a bit in helping them keep track of where they were in the "Big Pattern" of counting to 100. Did you know that your page can't be pinned- someone has reported it as spam- happened on several other things I was trying to pin today on other sites. I did report this to the Pinterest team. Your blog posts are always so content rich and wonderfully explained! I LOVE your charts and shares! Thank you for taking the time to expand on the ways you help the kids show that they have gained the skills the standards say they need to obtain! Thanks for taking the time to explain things so that I can see them in "real life" action. You're ideas are very much appreciated and well thought of in my school! Hi Heidi! Thanks for the 100's chart! I agree, this is a skill that has to be worked on consistently all year long. One thing I do is to keep track of how many days we are in school. We make our own "star chart" using calendar markers in the shape of stars, and write the number on the star and add it every day. Then we count it every day. One of the best things about this is the consistent practice, but also it is up there for the kids to go to whenever during the day to count on their own! The odd thing is that I just now pinned one of my pictures to my pin board on Pinterest and it worked just fine. I pinned it and then tested the link, and it worked. I don't know if they will try to remove it later or what... Hopefully not! Anyway, I was able to pin my own page, so perhaps you could repin from my pinboard to yours? 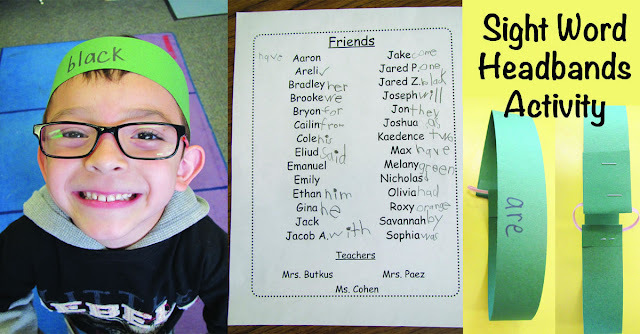 Also, as far as the first grade blog question from Karen M., try Heidi Samuelson's Swamp frog First Graders! She posted link in the comments. It's funny that she posted a comment right after you did, because that is the first blog that came to mind when you asked! Her blog is also very content rich and she has loads of free downloads and ideas to use for first grade. Her teaching ideology is also very close to mine. I love the finger helper!! Great idea. I just tried to post to Pinterest and it pulls up your page. 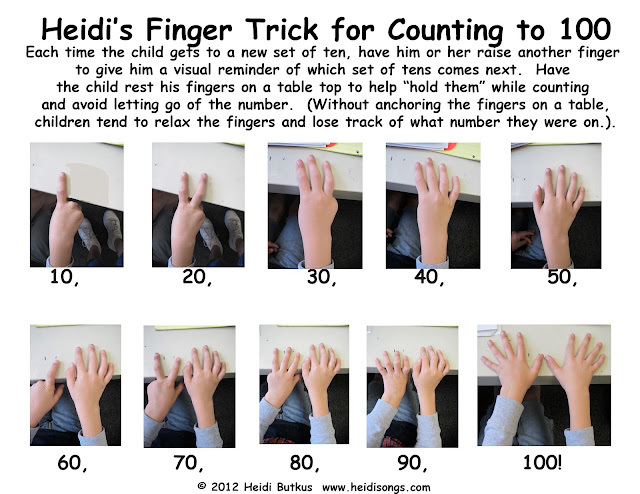 Dear Heidi i like your idea of putting one finger out and rest on the table after every ten numbers. i also found the idea of what comes after eg: 9-10,19-20,29-30,and so on .I have recently subscribed to your mails and am enjoying them.I get children to strike out the date each day on a big numbers calender this helps them to keep track of dates and also helps in numbers in sequence and what comes after. I also start my year by inviting my students to join my 100 number club. Students that say and write their numbers from 1-10, 11-20, 21-31 etc. get a sticker by their name on the wall and a piece of bubble gum. When they have mastered all the numbers to 100 they receive a prize that was predetermined at the beginning of the year by the students when we talked about joining the club. I have given trohies from the oriental trading company, a prize from our prize box,and recogniztion during chapel time with a certifcate, but of course you could decide on the grand prize that fits your students. I have done this for the last 3 years and am proud to say that I have had 100% of all my kindergarteners accomplish this task by the end of the year. It really works!